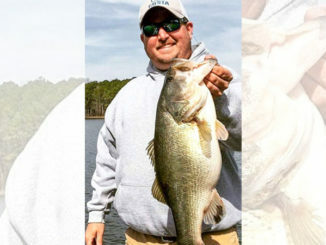 After a string of tough breaks, Dale Morgan of Angier, NC kept his nose to the grindstone and it paid off on Nov. 10, when he mounted the tripod where he had missed a big buck two days before and redeemed himself by dropping a 205-pound Harnett County 11-point that scored 153 ¾ inches. 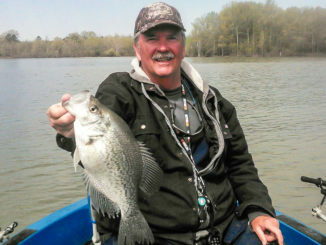 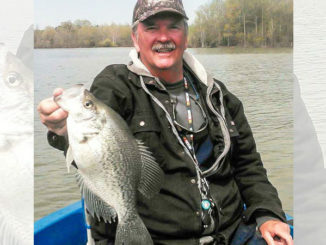 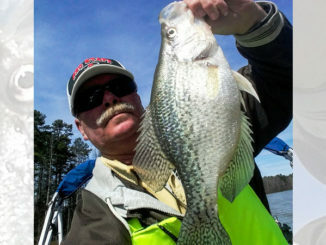 When water temperatures drop, crappie go on the feed at Kerr Lake on the North Carolina-Virginia border. 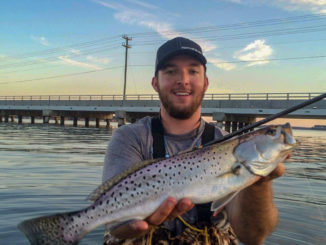 Plenty of brackish-water creeks are easily located along the coast of both Carolinas, and any bridge crossings in areas where water salinity is right for speckled trout and redfish are subject to hold them in October. 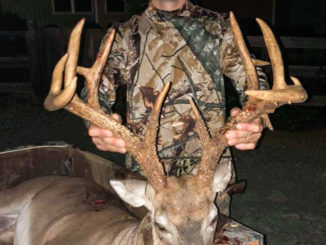 Hunter Schulz of Pittsboro, NC and his neighbor were after the same buck — a Chatham County 13-point that had appeared on both of their adjoining hunting properties. 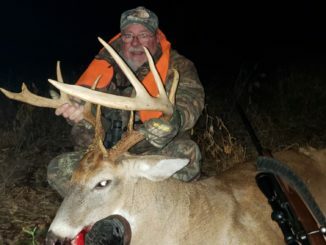 When his neighbor wounded the buck on opening day, Schulz figured his chance was long gone, but on Sept. 25, the buck resurfaced on his side of the woods and Schulz put an arrow through the 167-inch giant. 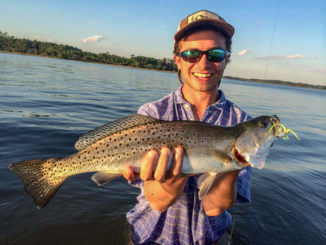 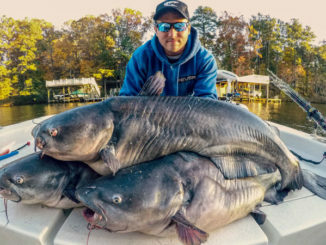 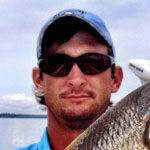 Although many anglers may think of wade-fishing as something you do to cut your teeth before getting your “big boy boat,” those leaving it behind are missing out on some great opportunities, especially for speckled trout and redfish. 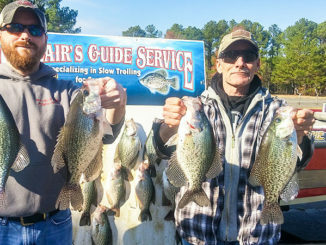 While most 6-year-olds stay pretty busy just being kids, Carter Lee Phillips of Pittsboro is adding a healthy dose of the outdoors to his youth. 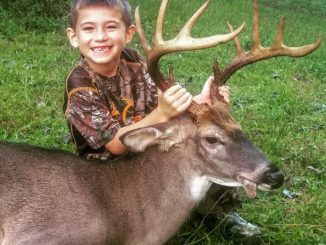 Fostered by a long lineage of hunters including his father, Jonathan Phillips, Carter was able to put an arrow through not one, but two respectable bucks a mere 10 days into this season — the largest being a Chatham County 10-point that taped out at 119 ⅜ inches on Sept. 18. 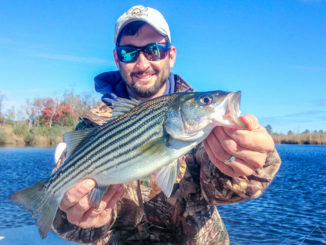 Along with the brisk winds of October comes a special time on North Carolina’s Albemarle Sound: keeper season for striped bass.